Available for a fraction of the retail price... we have 6 super fashionable footwear options for you to choose from! No matter what your style may be, we have something to suit everyone. Whether you prefer a bold patterned statement shoe or a plain and versatile style.. these options are sure to keep you looking and feeling on trend this season. Option 1- Cream lace up shoes. 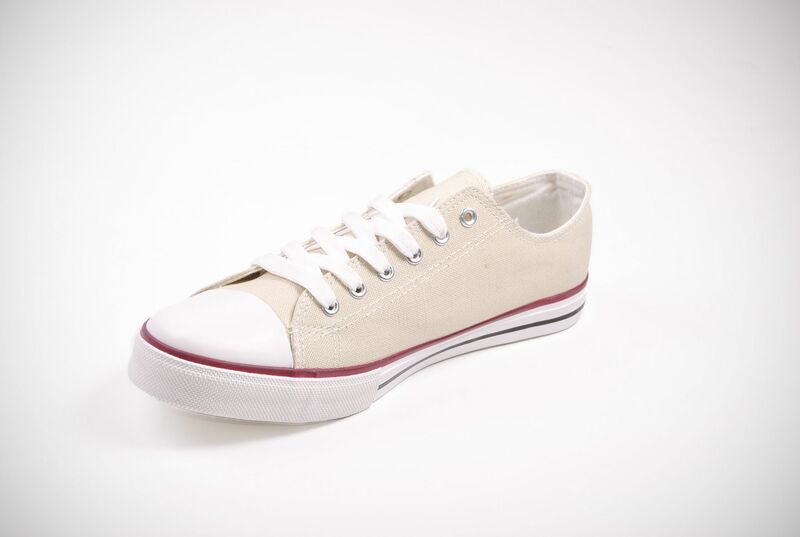 Canvas with a rubber sole. Available in sizes 6-12. Option 2- Red aztec slip on shoes with a rope effect sole. Available in sizes 6-12. 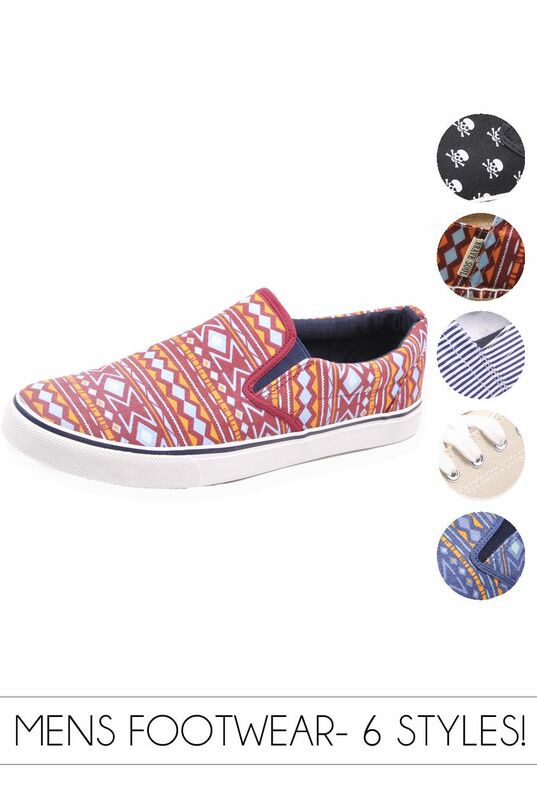 Option 3- Red aztec canvas shoes with a rubber sole. Available in sizes 6-12. Option 4- Navy aztec canvas shoes with a rubber sole. Available in sizes 6-12. Option 5- Skull print canvas shoes with a rubber sole. Available in sizes 6-12. Option 6- Stripe print fabric shoes with rubber sole. Available in sizes 6-12. Not Sure Which Size Are You? View Our Size Guide!